Pfc. Marvin H. Coffer, son of Mr. and Mrs. M.H. Coffer, attended Dodson High School. 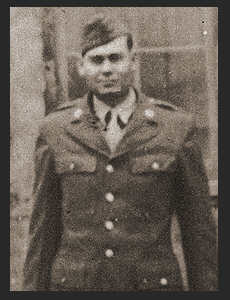 Entered the Army in Oct, 1942, trained in Camp Barkley, Texas, Yuma, Ariz, San Luis Obispo, Cal; served in Hawaii, New Guinea, the Philippines, Korea; duty in Ft. Leavenworth, Kan. Awarded Meritorious Service Unit Plaque, Good Conduct Medal, Asiatic Pacific Ribbon.